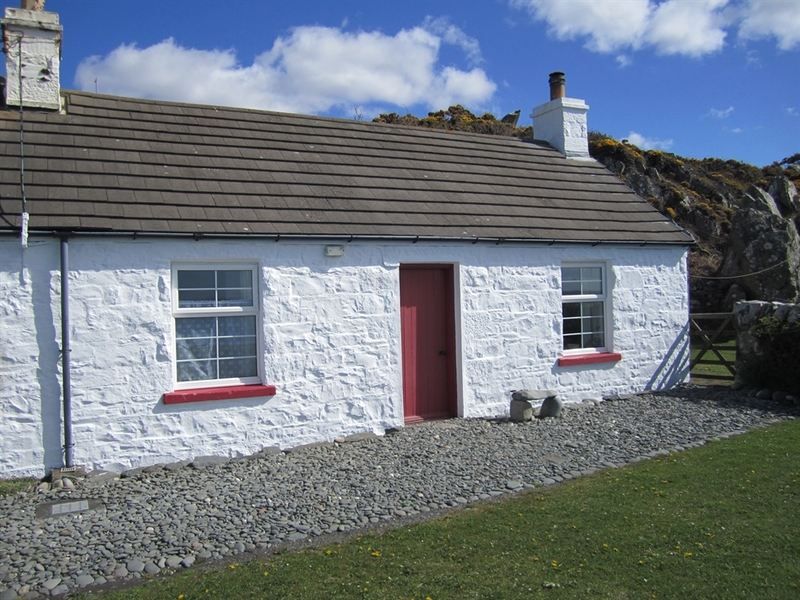 Traditional stone built self catering cottage opposite large sandy beaches on Luce Bay. Located on the A747 mid-way between Glenluce and Port William. Self catering cottage with one bedroom (double bed), plus double bed settee in living room. Sleeps 2 - possibly 4. No smoking and no pets. Open April - October with changeover on Friday. From £275 per week. The cottages stand by themselves right on the shore of Luce Bay with views out to the Mull of Galloway and the Isle of Man. Two large sandy beaches offer safe bathing and beach activities. A small field area beside the cottage is a safe enclosed area for children and for car parking.